This weekend I had a chance to fly the custom, scaled down Celestial Navigator I recently bought from 2nd Wind. Assembly was typical for a Stanfield kite, no instructions, so I just started putting the framing into the kite where it looked like it should go. With its smaller size, I was able to remove the tail section and put the two assemblies in the back seat of my truck to save time at the field. 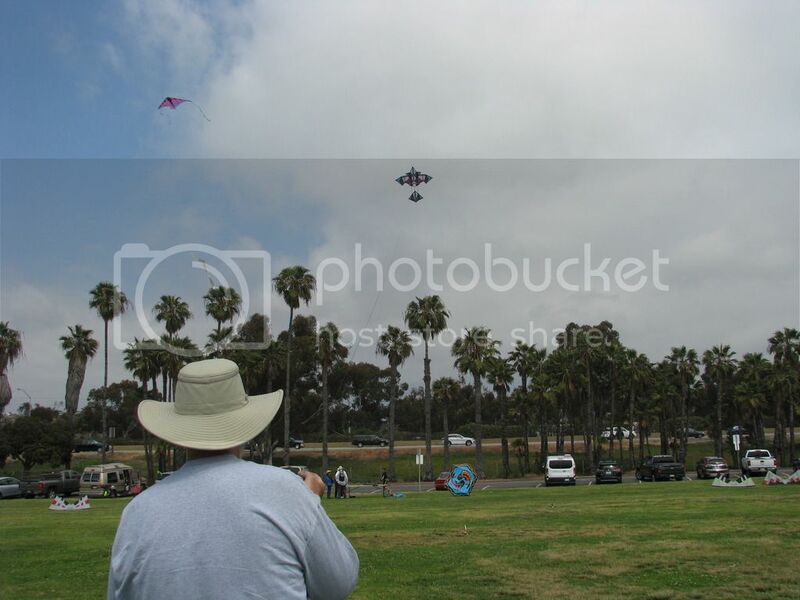 After adjusting the bridle, I used a long line launch to get the kite into cleaner wind. It flew nicely in bumpy 10 mph wind. 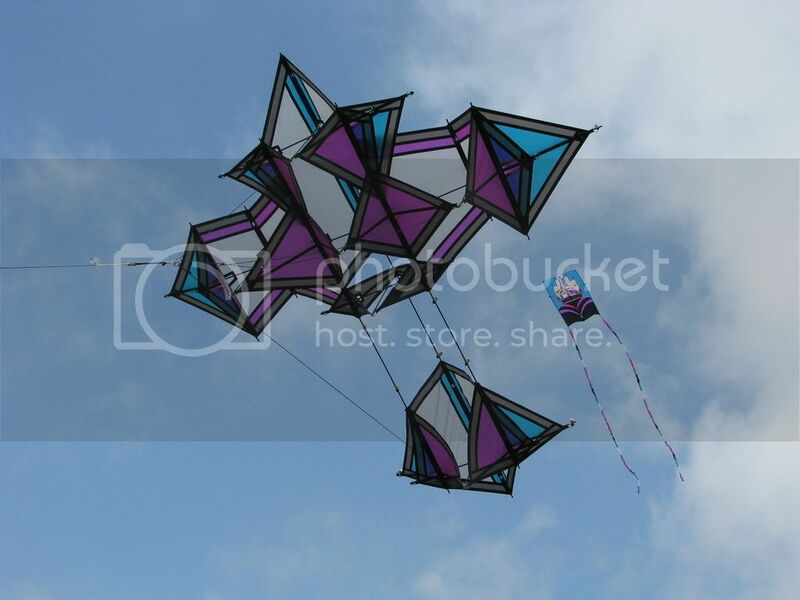 The kite would probably do very well in 8 mph beach winds, and fly in winds up to 20 mph, but I would bring it down with anything over 15. Very nice looking. Looks even purdier than the earlier pics -- it was meant to be in the air! Thanks for sharing! I agree that it is even more impressive in the air! Thanks for the comments. Seeing it in the air made the time spent on assembly worth it.